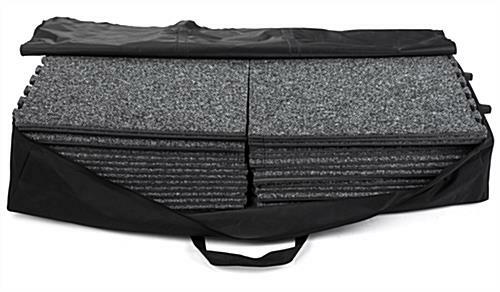 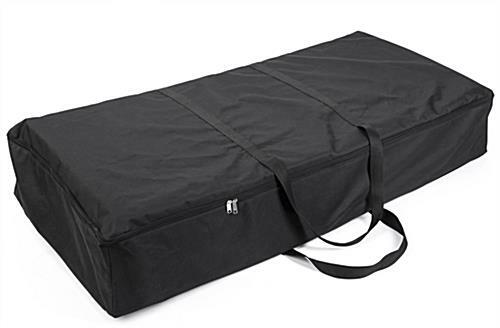 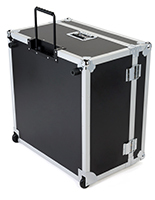 This portable floor tile transport case is a convenient, durable carrying solution with wheels for interlocking foam mats and other trade show essentials. 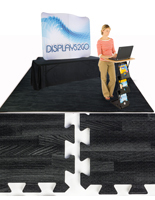 When it comes to event booth setup, every bit of efficiency can make a difference. 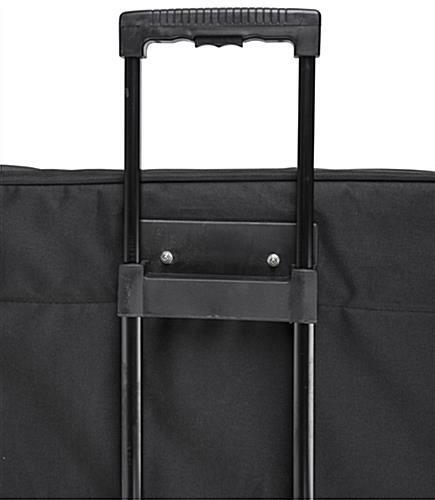 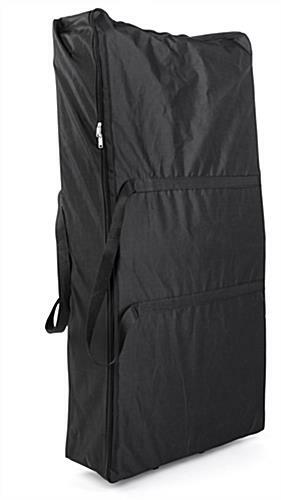 Two edge wheels and a retractable handle allow you to easily move this rollable floor tile transport case from place to place without assistance. 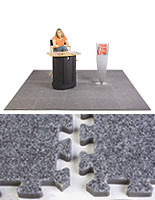 With enough space for thirty interlocking pieces, carrying an entire 10’ x 10’ foam walk-on surface is a breeze. 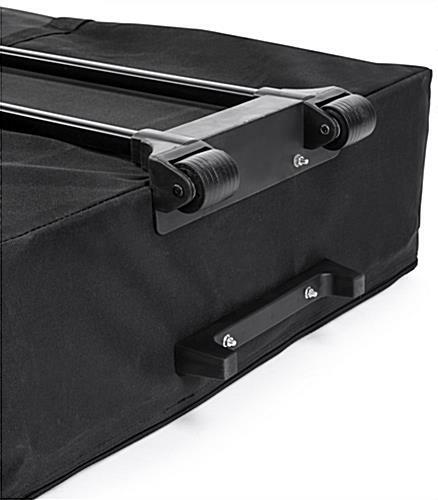 Rigid, durable bottom reinforcement helps to prevent sagging and support your stored supplies. 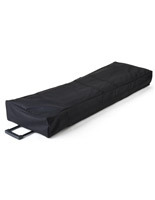 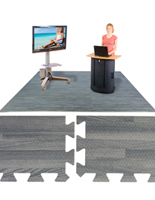 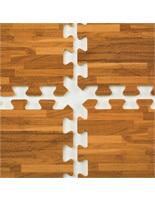 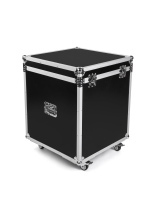 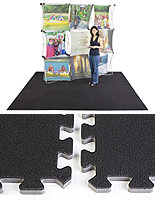 Take some of the stress out of your trade show booth or event set up with this tile transport case. 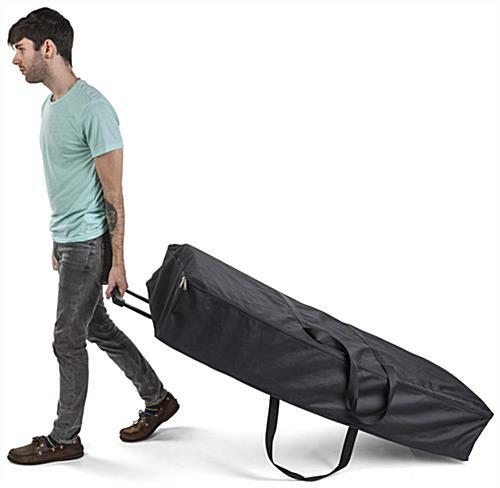 54.0" x 8.0" x 25.5"
53.0" x 7.0" x 25.3"